The vinyl release first came out in 2012. 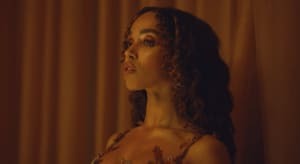 FKA twigs's first release, EP1 has arrived on streaming services four years after its initial release. Originally released in December 2012, the EP is now available to stream and download from Apple Music and Spotify. When the EP was first released, twigs posted a video for each of the four tracks, "Weak Spot", "Ache", "Breathe", and "Hide", on YouTube. Earlier this week saw the roll out of Twigs's career spanning online archive. It comprises all of her projects, including musical releases and her other ventures in various disciplines alongside unseen material.